On this blog I have been very critical of the church at times, and many bloggers I read regularly are just as critical. We do not point out the church's failings because we hate the Body of Christ; on the contrary, we love it. If we didn't love the church, we wouldn't care enough to raise the concerns we encounter. To be part of the Church of Jesus Christ can be a very frustrating experience for all of us who are individual members of Christ's Body. I can list my reasons why I get so frustrated on occasion and so can many others. Some of those reasons are similar, others may be very different. There has been much talk about the church and how it has turned off the younger generation and how others who were very involved have given up on "organized religion." These concerns are legitimate and should be discussed with compassion and vigor and critical reflection. But my purpose in this post is not to focus on the church's frailties and foibles... though they seem to be many at times. What I would like to do is remind us that the church is not only an all-too-human institution, but it is a creation of God and brought into existence by the death and resurrection of Jesus Christ and through the life-giving breath of the Holy Spirit. There are times when I am very discouraged with the church for various reasons. And on such occasions, it is helpful for me to remember that the church has struggled from the very beginning. In the Book of Acts after the wonderful event of Pentecost and the coming of the Holy Spirit and the Birthday of the Church, God's creation (Acts 2), it doesn't take too long before there is disagreement and fighting in the ranks (Acts 6). In other words, the church in the twenty-first century is not facing any more difficulties, any further disagreements, any more intense strife than what our Christian sisters and brothers faced in the first century. God, who always works in the context of the human situation has created and called a people to be his presence in the world. God has been more than willing for that presence to be imperfect; for even, and especially, in the church's imperfection, God can reveal God's grace. 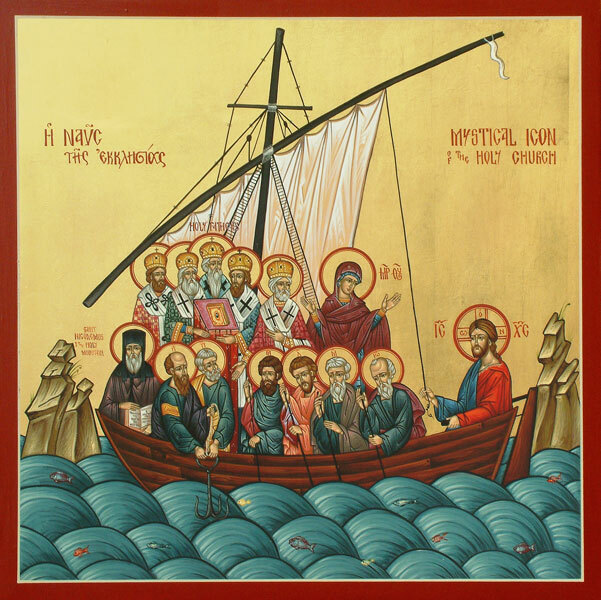 One of the early symbols of the church is a boat in the midst of troubled seas. 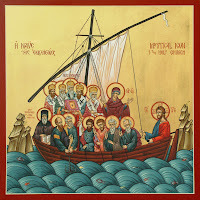 And while that image is meant to primarily convey the church staying afloat though tossed to and fro by worldy challenges and threats, it must also be remembered that the church continues to stay afloat and continues to stay on divine course even though the deck hands at times struggle and fight with one another. The captain of the ship, Jesus Christ, insures that nothing-- threats from without and strife from within-- will steer the church off its divinely appointed course and one day into the safe harbor of eternity. And I will say this-- in spite of its foibles and frailties, there can be no kingdom work without the church, there can be no resurrection without the People of the Resurrection, there can be no Easter without Easter people to sing the praises of new life; without the church, there is no kingdom. Yes, indeed... the church is one leaky boat... but it is indeed the best thing afloat.